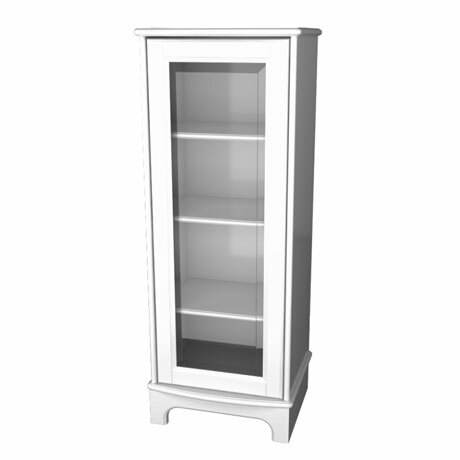 The Traditional 1903 Display Cabinet from Miller features a hardened bevelled clear glass door and an all smooth white painted surface. The unit incorporates 1 fixed and 2 adjustable wooden shelves. The cabinet is fitted with mounting rails and brackets for adjustable and quick installation and comes supplied a traditional chrome and white ceramic knob. Available in a left or right hung door.